We are always publishing up to the minute progressive rock, metal, and jazz-fusion reviews, news, interviews and in-depth concert reviews. - Please bookmark - and bring your friends. - Also, make sure to follow us on Twitter at SeaOTranquility. - Check us out on FACEBOOK. - We now even have a YOUTUBE channel, so subscribe and watch our weekly video blogs. Currently, Sea of Tranquility is accepting resumes and sample work from experienced heavy metal & prog writers. If you have experience writing for either print magazines or internet webzines, specifically for any form of heavy metal (black metal, death metal, power metal, metalcore, progressive metal, etc), and progressive rock, we want to hear from you! Also, must be willing to accept digital download promos as the format for review. 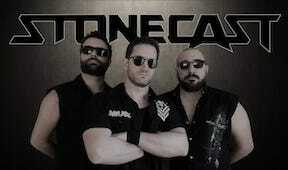 The French heavy metal outfit, Stonecast, have made a distinct departure in their third album “I, Earther” that brings a deeper passion to their craft. Vocalist, Franck Ghiraldi graciously answers the questions in this revealing interview conducted by Sea of Tranquility Staff Writer Mark Antony Rossi. Mastord is a project conceived and written by Finnish guitarist Kari Syvela. He enlisted a number of talented volunteers, bassist Pasi Hakuli, drummer Toni Paananen and vocalist Markku Pihlaja to complete the project through complicated scheduling and remote recording. Kari is responsible for graciously answering the questions from Sea of Tranquility Staff Writer Mark Antony Rossi for this interview. News: Cat's departure from the Spaceship! We have to report that Lead singer Paul Manzi will be leaving the band after the Narnia tour part 1 concludes. Paul has accepted a fantastic opportunity to join Glam legends ‘The Sweet’ as a full time member. We wish him every success and thank him for such an amazing ride and some wonderful memories made. Over 50 years of rocking the blues �" Savoy Brown, with leader Kim Simmonds at the helm, return with 'City Night' �" their 40th album �" which will be released on Friday 7th June 2019 via Quarto Valley Records (distributed by Proper). In what would have been the 50th year of Rory Gallagher’s recording career, UMC are pleased to announce the release of ‘BLUES’ on Friday 31st May. From the vaults of the Gallagher estate’s tape archive comes this collection of rare and unreleased recordings of Rory playing his favourite blues material. Ranging from never heard before tracks to special guest sessions with legendary blues artists (Muddy Waters / Albert King) and lost radio sessions, this album uncovers Rory’s love of the blues throughout his solo career from 1971 right through to 1994. Join host Pete Pardo and his special guest Chris Alo as they run down their top 10 favorite songs from Ronnie James Dio's band Dio, plus some honorable mentions! SoT Video: The Latest Edition of What's Hot With Sea of Tranquility! Join host Pete Pardo as he looks at new CD's from Morglbl, Fallujah, Bloodbound, Iron Savior, Herman Frank, Rhapsody of Fire, and Martin Popoff's new Black Sabbath volume! Join host Pete Pardo as he discusses new releases from Last in Line, The Wrong Object, Sacral Rage, Hammer King, Lethean, Septagon, Be-Bop Deluxe, Humble Pie, Peter Banks, and Curved Air! Join host Pete Pardo as he runs down his favorite songs from the popular Canadian hard rockers BTO! Join host Pete Pardo and his special guest, his co-host over at Comic Book Geezers, Wild Bill, as they discuss their favorite songs from the guitar legend Jimi Hendrix. Join host Pete Pardo as he runs down his favorite tracks from Canadian hard rockers Moxy! Don't miss us as we return to the UK for our first headline tour in two and a half years, supporting our new 'Testament - The Best Of Eden's Curse' CD. We are bringing two very special guests along for the ride, in German Melodic Metal band Mob Rules ... and up and coming Swedish AOR sensations Degreed. I’ll never forget the last time that Riverside visited Scotland, the scars from the sudden passing of their band mate and musical brother, Piotr Grudzinski, still raw. 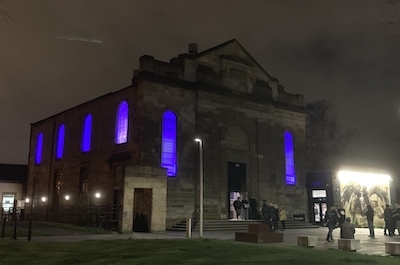 That evening in Edinburgh was hugely emotional, with a connection between band and audience created that will seldom be felt under any different circumstances. It was a moving, tough, yet still indescribably uplifting experience transcending the normal gig-going encounter and something that will live long with anyone who was there. 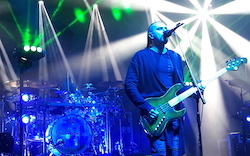 The band’s next show on Scottish soil was sure to be a very different event, and as Sea of Tranquility’s Steven Reid can attest, so it proved. Legendary rock band ANGEL has just signed a Record deal with Cleopatra Records and will start recording in April 2019. Original members Punky Meadows and Frank Dimino along with current member Danny Farrow have written 14 brand new songs for the album which they describe as very diverse ranging from songs that are very Melodic with real strong hooks to much heavier songs that contain great melodies and will have the classic Angel sound. This album will appeal to all ANGEL fans of every era and previous albums. Join host Pete Pardo as he looks at his Top 10 songs from Canadian proggers Saga! ***Editors Note- the 'concept' songs I couldn't spit out are called the 'Chapters'...sorry for the brain fart! Join host Pete Pardo as he runs down his top 10 favorite songs from Canadian hard rock & prog act Max Webster! Join host Pete Pardo as he runs down his top 10 favorite songs by The Who as well as a wealth of honorable mentions! Join host Pete Pardo as he ranks the Soundgarden discography from worst to best!